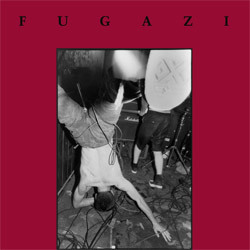 This is Fugazi&apos;s debut record, released in 1988. These 7 songs songs were later combined with the 6 tracks from the Margin Walkers EP and released on the 13 songs Maxi CD. This 12" EP (on black vinyl) was re-cut from the Silver Sonya masters in 2008 at Chicago Mastering Service and comes with a free MP3 download of the album.